Wondering What To Put On Your Website Homepage? 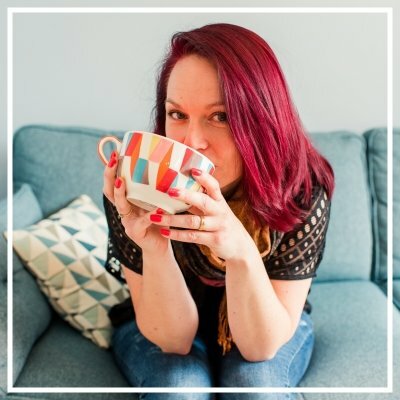 Hi, I’m Laura, welcome to my blog. I help business-builders write their own web copy, blog posts, marketing emails and social media content. Get hands-on help from me when you become a Worditude VIP. And get a guided tour through my best free resources here. I'm often asked what someone should put on the homepage for their small business website, so I've recorded this video to walk you through the task. Here are three key factors you need to consider when designing a homepage that works for you and your audience. (Text version below for those who prefer to skim read). It's hard to create a simple template that works for all businesses, because what goes on your homepage will vary according to your business model. For example, a retail business selling low-priced items it may be appropriate to feature products right there on the homepage. On the other hand, if you sell high-ticket items, you'll need to nurture the website visitor with plenty of value, credibility and social proof, before you put a product in front of them. 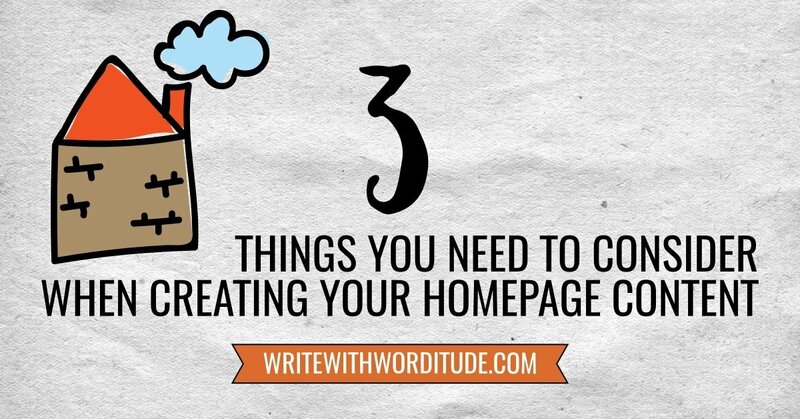 So instead of creating a template, here's the three most important things to consider when creating your homepage. #1 How Did They Get There? The chances are your homepage visitor isn't totally new to you and your business - they have already had some contact and already know a little bit about who you are and what you do. They may have found you through your blog post appearing in the results of a search on Google or Pinterest. They've read the blog post, are curious about you, but don't see anything in the post, sidebar or menu bar that's attractive enough to click on. So they've gone to your homepage to get a high-level view of your business. Or maybe a friend has told them to check you out. Or maybe they found you on social media and have clicked through your profile to get to your website. However they got here, they've already had a small taster of what you offer and they're eager for more. What you put on your homepage must carefully balance your audience's needs with your business goals. ♦ Proof of your trustworthiness - social proof, qualifications, anything that shows you are a credible expert. ♦ Help to access your free content - they've had a taste and now they want more. ♦ Seeing your products/services - make it easy for those who have arrived with money to spend because they want a quick solution. Now think about your own goals. Do you want to build your list? Drive traffic to a wailist page? Generate discovery calls? Over time your business goals will change, which is why you need to check-in regularly and review whether your homepage is still doing what you want it to. Once you've done that exercise of deciding what the visitor wants and what you want, you may notice that the website content you want to showcase on your homepage is already linked to from the menu bar. I'm often asked if using the homepage to drive traffic to pages already featured in the menu bar is OK, or is it a wasted opportunity. And my answer is absolutely yes if that's where you want to drive your traffic then use your homepage to encourage visitors to go there because the chances are your menu bar is not doing that very well anyway. If someone has come from another page on your site, particularly a blog post, and then decided to bail out and come to your homepage to find out where they want to go next, your menu bar has already failed. The menu bar was right there at the top of the blog post, they could have used it to access another page on your site and they didn't. They decided to go to the homepage instead. If they've arrived directly on your homepage an started to scroll down to see the content of your homepage, again your menu bar failed to captivate them. It was right there and now they've scrolled past it. Menu bars aren't an especially effective way of driving traffic because all the visitor can see is 1-3 words. There's no image or description to catch their attention. On your homepage you can create small advert-like images and texts to entice vistors to explore the pages you most want them to see. Once you've put all of those three things into play and you've created your homepage, it's time to check it does the job. Go back to that first exercise where you thought about where the website visitors come from and what they want, then consider how well the homepage is meeting those needs (as well as your business goals). Although it's hard to create a template that works for all businesses, the structure I use on my homepage will work for many. Open with a short section that reassures the visitor this website is worth their time and attention. Be sure to include some credibility indicators, like your qualifications or experiences. And give a brief overview of who your target market is (don't call them that though), and what you sell. Then include a section that advertises the three pages you most want to showcase on your website (because they'll be of value to the audience and helps meet your business goals). I use three boxes, each with an image, a title, and a description. And then it's always a good idea to have some kind of signup box on that homepage so that visitors can keep in touch if they want to. It's really important that you don't just follow a template without knowing what the point of it is. 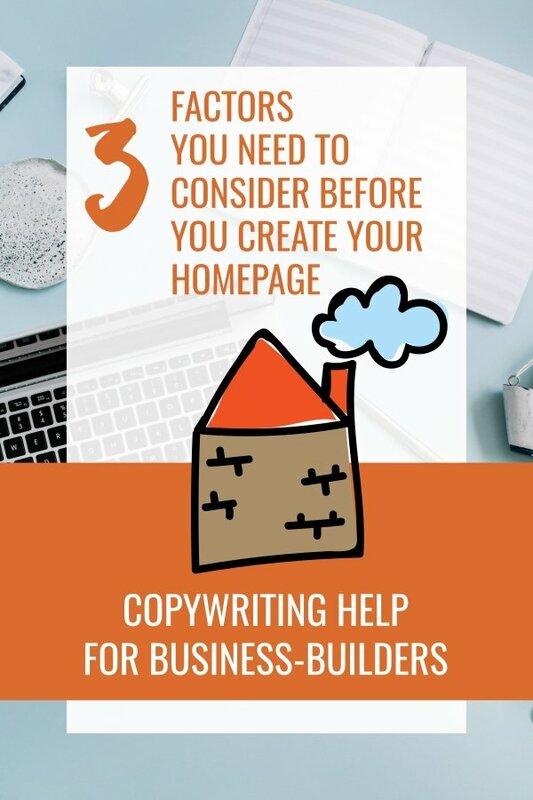 It's useful to go through and consider those three factors first, before leaning on the template to help you design your homepage content. Hopefully, that's been helpful to you as ever. If you want any help with that or want to show off your homepage, especially if you make over your homepage as a result of watching this video, then I'd love for you to share it in the Write With Worditude Facebook group.